Theme specific games, activities and trivia. 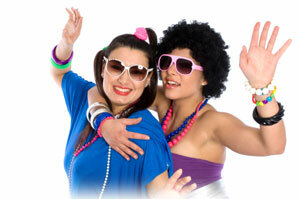 Accessory packages that include decorations, party favours and costume accessories for guests. Our theme party package is listed below, Our experienced team will customize your theme party using your ideas and these packages to provide high quality entertainment for your event. Crystal clear sound system ready to rock the party.